A new law allows civil society groups to sue polluters, but the government remains wary of losing control. The year began with high hopes for citizen participation in China’s environmental protection. On January 1, 2015, China’s revised Environmental Protection Law (EPL), which authorized civil society groups to sue polluters to protect the public interest, went into force. Three days later, a court in Fujian Province accepted an environmental public interest lawsuit filed by Friends of Nature and Fujian Green Home, two grassroots environmental civil society organizations. Since that time, the courts accepted just ten more filings of environmental public interest cases (one of which was withdrawn). Of the eleven cases, three were filed by grassroots civil society groups, one by private citizens, and the remainder by state-backed organizations or local procuratorates. During the period of 2014 when the EPL had been revised but not yet gone into effect, courts accepted thirteen cases, but only one was filed by a grassroots organization; in the other cases, the plaintiffs were state-backed organizations or procuratorates. There are several explanations for the small number of lawsuits this year, but equally important and less often discussed is the Chinese state’s attempt to maintain control over environmental public interest litigation. The Chinese government is nervous about environmental public interest lawsuits for at least two reasons. First, lawsuits often emerge from the mobilization of a large numbers of persons who have sustained damage to their income, property, and health as a consequence of China’s severe pollution. 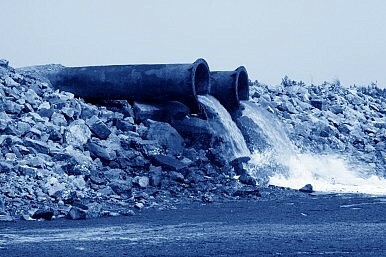 Second, responsibility for local pollution problems is typically shared by the government due to officials’ failure to enforce environmental regulations. Officials have responded with a number of measures to manage environmental litigation in order to balance the public interest with the need to guard the regime’s image. One of the most important ways to contain the political fallout from environmental disasters is to take control of lawsuits by having state agents serve as plaintiffs. Over two decades, the Chinese government has formed a number of civil society groups that are directly affiliated with the state, called “government-organized nongovernmental organizations” or GONGOs. The All-China Environmental Federation (ACEF), attached to the ministry of environmental protection, leads environmental public interest litigation, having brought two cases in 2014, three lawsuits in 2015, and eight lawsuits prior to 2012. In 2015, the National People’s Congress is considering a trial reform to allow procuratorates, which serve as prosecutors in administrative and criminal cases and which supervise the courts, also to act as plaintiffs in environmental public interest litigation cases. The formal entrance of procuratorates, powerful state units with significant financial resources, into environmental litigation signals that the state is serious about using the courts to address environmental pollution. The new role for procuratorates, however, raises three concerns. Procuratorates’ role as plaintiffs in civil cases conflicts with their supervisory role over court proceedings. Parties in civil cases should have equal standing, but the procuratorates’ supervision of courts puts them in a powerful position relative to defendants. In addition, procuratorates’ status as state bodies affects their case selection. According to an environmental attorney who spoke to me in China, procuratorates “select minor cases that can be won very quickly” in order to meet their work quotas. Usually, procuratorates and GONGOs succeed in their environmental lawsuits, but they are likely to avoid uncovering evidence of government mismanagement and malfeasance that will tarnish the regime’s reputation. Some local governments and lower courts have tried to preserve the right of state-affiliated organizations to defend the public interest by giving preferential treatment to GONGOs. In 2014, for example, municipal governments in Taizhou and Danyang (both in Jiangsu Province) established local state-backed environmental protection federations with the specific goal of filing environmental public interest lawsuits. Newly founded GONGOs effectively crowd out grassroots citizen participation, and protect local regime interests. Authorities also intimidate activist lawyers who work with civil society groups to impede embarrassing lawsuits. In an ongoing case involving unlawfully sited and polluting medical waste and daily trash incinerators in Wuhan, Hubei Province, Wuhan officials warned local and Beijing attorneys to stay away from the case or face potential punishment from the All-China Lawyers Association, which renews lawyers’ licenses. A pollution case in Taizhou City, Jiangsu, exemplifies how lower courts occasionally give preference to local GONGOs in handling pollution cases. In August, 2014, a court heard a lawsuit brought by the Taizhou procuratorate and the Taizhou Environmental Protection Federation, a GONGO founded in February 2014, against six polluting chemical factories. The court awarded the plaintiffs 160 million yuan ($26 million dollars) to remediate the environment, then the largest judgment in China against polluters. Interestingly, the court reached a judgment in the case on December 30, 2014, two days before the revised EPL went into effect. Under the revised law, the Taizhou Environmental Protection Federation would not have qualified to have standing in the case because it lacked five years’ experience in environmental protection work. When Friends of Nature, a legally qualified grassroots civil society organization based in Beijing, tried to sue another chemical factory in Taizhou as part of the same pollution problem, the court refused to hear the case claiming that Friends of Nature had no standing. On appeal, a higher court ordered the Taizhou court to accept the case. The court should have refused to hear the first lawsuit due to the plaintiffs’ lack of standing, while it should have accepted the Friends of Nature lawsuit. Through its actions, the local court showed it trusted a local state-affiliated organization and distrusted an outside grassroots group. Grassroots participation in environmental litigation is an important area in which the average citizen can monitor and supervise polluters and the administration of environmental laws. In China, though, local state officials want to maintain stability by limiting exposure of their own environmental failures. In the short term, the limited capacity of autonomous civil society organizations may necessitate that state agents lead the process of filing environmental public interest lawsuits, but this approach will have consequences in the long term. Procuratorates and GONGOs effectively crowd out grassroots groups from participating and will avoid cases that could embarrass the state. Scott Wilson is professor of Politics at The University of the South (in Tennessee) and author of Tigers Without Teeth: The Pursuit of Justice in Contemporary China. During the academic year 2014-15, he used a Fulbright research grant to research citizen participation in Chinese environmental governance at Wuhan University’s Research Institute on Environmental Law. The pragmatic approach preferred by environmental activists is put to the test by the crisis of climate change.